It’s Five Minute Friday! The fingers are rusty and the mind is longing to be back on the warm sand with the sound of the surf in my ears but here we go. Pre’-sent, pre-sent’, pre’-sent. One word with so many meanings. All swirl through my mind and each gives me a little shudder. The here and now is just too cluttered and undone to be appealing. So much work staring me in the face wrapped in frustration. That’s a present I just don’t want to get right now. Then comes the imagery of how I am presenting myself. I sit here in mismatched pajamas, house shoes and disheveled hair. I need to go out, but NOT like this. That’s more work that needs to be done. Really all I want is my hammock to be here, clear skies, a cool breeze and a good book followed by a nap. Profound, isn’t it? All of the recent rush and push and pull is just weighing heavy. At least I have a computer again with actual working software to let it all out. Lucky you! Just a funny shirt I saw. Yes, I do know EXACTLY where yonder is! Saying a prayer for you sweety. I love how real you are, Amy! And yes, we ARE the lucky ones!!! Hope you get that rest in your soon-to-arrive hammock. Love you! At first I read that as "house hair" and I wondered "What is that?!?" - I wish we lived closer so we could chat and enjoy some comfort food and tea together! And man, I miss the easy relaxation that a hammock and a cool breeze brings. :) Happy Friday! Sometimes we wake up and the present is not what we wanted to wake to:)Wishing this weekend - when you wake up - the present is something simply delightful! What an amazing blessing, thank you for those words! So glad to came to visit and leave that offering. I am humbled. Oh, no, Dolly. Don't let yourself go there before you have even left. That's really depressing! Get rid of those thoughts and start thinking about all the fun and relaxation coming your way! :) Glad you visited! I'm always glad when you visit. Praying for that transitional grace for 're-entry' into your normal everyday life! (And yes... for a few hours of hammock and reading time too!) Bless you! Love this and yes we are so lucky your in our lives, I missed you when you where moving, and then on vacation!! Praying that you get some moments to sneak out in the hammock with a book!! Thanks for missing me, I appreciate that. Hope you get some summer fun that's relaxing, too! 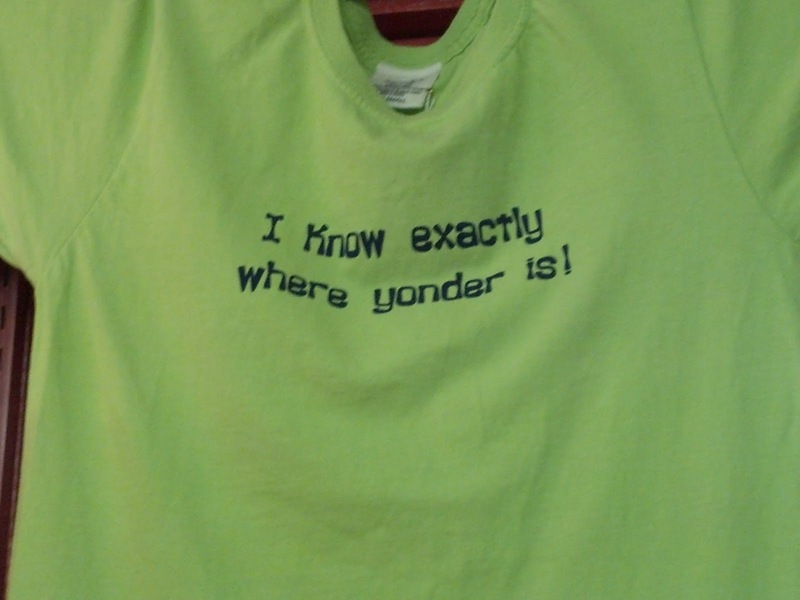 Hey, I know where yonder is too! Love this very real post. Sometimes the present just isn't what we want it to be, and maybe there's a lesson in there too. As for how I pre-SENT my self, I'm about thisclose to getting all my hair cut off. One less thing to think about. Oh what I wouldn't give for a hammock! Praying for you tonight my friend! Thanks for the prayers. I definitely recommend the hammock if you have somewhere to put it. So relaxing! Bwaaahhhh! Come to my house and let's sit in the hammock together! I'll make the adult beverages and you can bring the chick flicks. It will be GREAT! Love you sister. Sorry I'm not more helpful and encouraging to you as you have so much to do. I'd rather play! I'm late to this party, but I was so honored that you stopped by my place last Friday. Thank you!! And I love the sound of a hammock, cool breeze, good book and a nap! Too bad it is already Monday! Monday is never too late for good hammock time! So glad to "see" you. It's been too long. I miss reading everyone's good words when life gets crazy.